I do not have words to do this book justice so this review is going to be super short but please don't take that as an indication that I didn't love it because I did. It's beautiful, moving, sweet, funny and just a little bit too clever. The story was always going to be a moving one when the characters are mostly all cancer patients. What I loved about it though was that they weren't these pathetic victims who gave into their illness but through them I really saw a hope and a will to survive. I loved Hazel as a character which meant I became so invested in her that her story almost killed me. This book throws you between your emotions from feeling really sad at some points to giggling out loud at others. I loved following the stories of the two main characters but particularly loved Gus's sense of humour. There were so many lines which were both completely unPC but so funny at the same time (I'm thinking in particular when Gus is asked about his lack of leg). 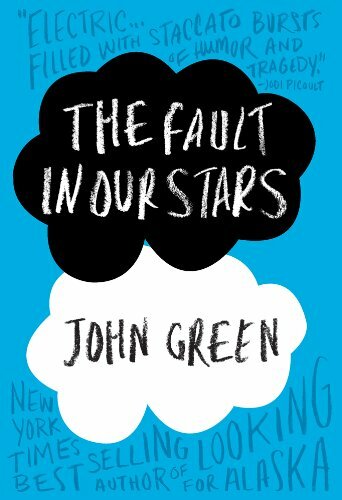 So many bits of the bok were poignant (especially the finally ending which is a real thinker) and has left me thinking I need to read more John Green. It's just a shame Amazon did not send me the promised signed copy. Will be preordering from elsewhere in future.